Factory fabricated acoustic walsdfsdfsdfl panels are the answer to your acoustical and aesthetic needs with their strong sound-absorbing performance, durability and eye-pleasing appearance. These panels are available in a wide variety of sizes, shapes and colors, as well as, custom cut to size for your specific needs. They allow you to create an effective sound control treatment that is distinctly designed for your environment. Applications include offices, schools, meeting rooms, music rooms, hotels, auditoriums, recording studios, broadcasting studios. Anywhere good speech privacy or speech intelligibility is important. Another great alternative for sound control applications are high-tension Fabric Acoustic Wall Systems or Stretched Fabric. 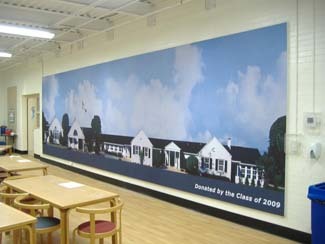 With stretched fabric you can create almost any panel size and there are hundreds of fabric options available. 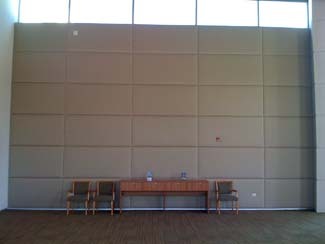 One benefit over traditional fabric wall panels is that the fabric face can easily be replaced. This system is a commercial, site-installed, highly customized system for tightly stretching fabric over acoustic or tackable substrates using a specialized track system. Because it is site installed this system assures a perfect fit to all adjacent work. 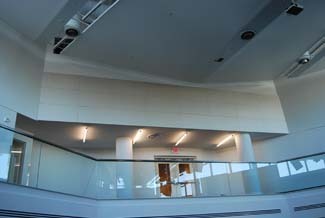 The track is secured to the substrate and can be used for either wall or ceiling applications. The unique design of the system offers many advantages by providing the most flexibility in design and cost-reduction options. Size limitation is based only on the fabric size and/or its ability to be sewn to the size needed. The track system is damage-resistant and allows for easy fabric cleaning, repair or replacement. 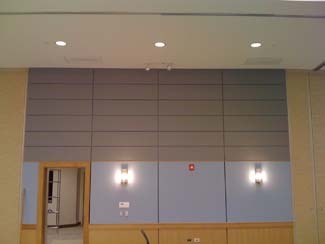 Acoustic Metal Panels are practical and effective for reducing high noise levels in industrial and commercial installations. 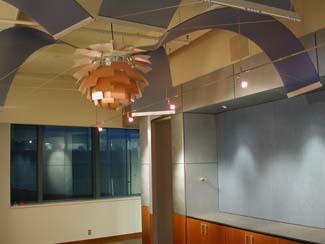 They reduce reflected/reverberant noise and provide acoustical treatment for both small and large areas.